Box allows companies to have an online repository of files, structured in folders, that synchronizes to users’ local hard drives. This allows you to keep all files centralized and accessible from your computer. 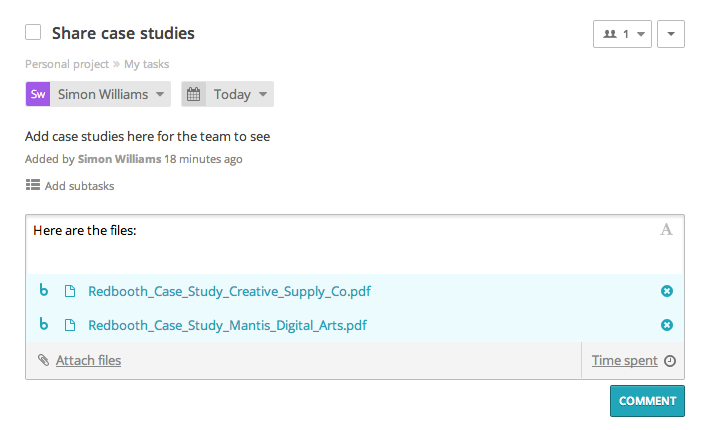 Attach Box files to Redbooth conversations, tasks or real-time chats. View files online without needing to download them. Edit your files inside the Box environment. Changes made reflect back to the file in Redbooth without having the need to re-upload it. 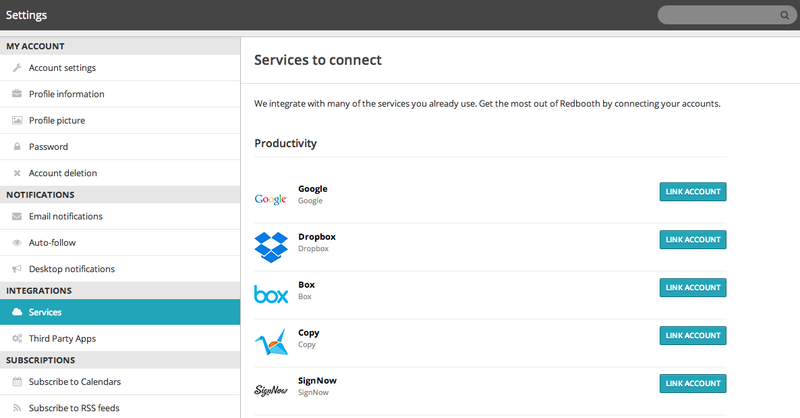 Not worry about permissions, as Redbooth will manage this for you. 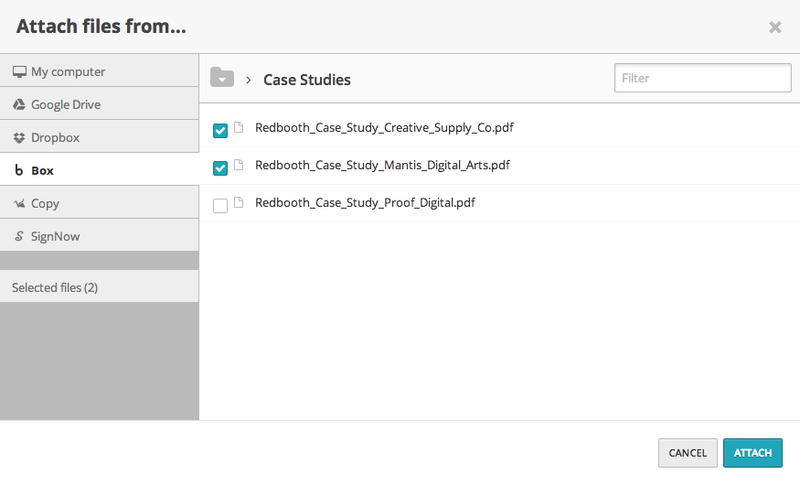 A Redbooth Pro or Business plan is required for this integration.